It’s an unspoken rule of the insect world: bees love to party. They love swarming about, getting shitfaced, spewing honey and dropping their pants in public for on-lookers with smart phones. The truest of cheeky animal bastards, bees are. Unfortunately, all that fast and hard living in the Honeybee community has yielded terrible results. STDs. Bee STDs. Also, tobacco use, and subsequently lots and lots of death. Many bees have started wearing black leather jackets and high-laced Army boots. 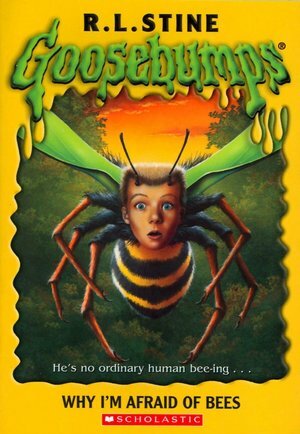 Such a start contrast from the bees of yesteryear that RL Stine wrote about so eloquently. For more on these winged heathens, click here.